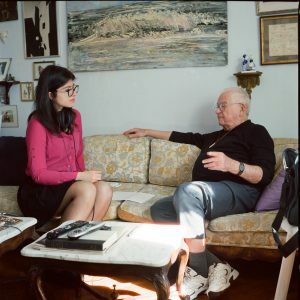 Brooklyn College student Elizabeth Jefimova interviewed World War II veteran Seymour Kaplan on February 24, 2017, at Kaplan’s home in Brooklyn. In this clip, Kaplan recalls how his willingness to tell his story of service was shut down. He did not speak of the war for fifty years. 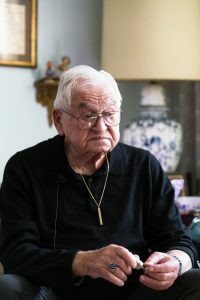 In my experience as an interviewer, I have often found that veterans are encouraged to be silent about what they have seen and done in war — often by their very own families.